The main road leading into Thammasat University is named Tula or October after that fateful month in 1973 and 1976 when uprisings brought about momentous yet tragic consequences. The university was established on 27 June 1934 as the University of Moral and Political Science. The founder, Pridi Banomyong was the leader of the People’s Party in the 1932 coup that established a constitutional monarchy in Thailand. Pridi had a vision of an institution open to all, dedicated to educating generations to promote change and improvement to the nation. 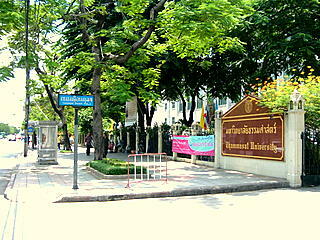 Established as a university for law and political studies, Thammasat is noted for its studies in political and social sciences and the humanities. As one of the top universities in Thailand, thousands of high school students vie very year in competitive entrance examinations to gain entry. In recent years the academic curriculum of Thammasat University has been expanded or diluted according to critics, to include commercial disciplines to meet the demands of the current economy. 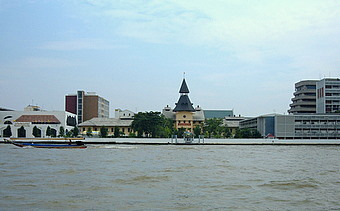 The university campus at Sanam Luang is nestled on the banks of the Chao Phraya between the National Museum and Wat Mahathat. 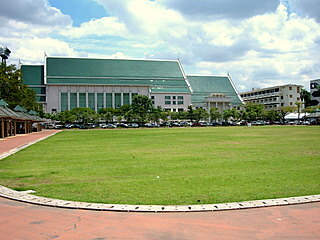 The grand auditorium lines the front of the campus facing Sanam Luang. Down Tula Road pass the auditorium lies the quadrangle ringed by the various faculty buildings. Like any other campus, it’s peaceful today. Students and staff walk briskly between classes. Some are huddled in active discussion while others read under the shade in the cafeteria by the quadrangle. But it wasn’t always like this. Demonstrators have massed in that quadrangle to launch their protests in 1973. The field has also been a scene of a bloodbath in 1976. 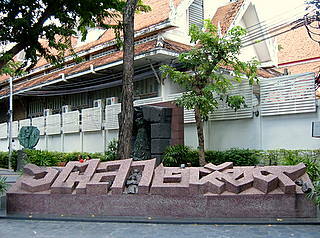 Thammasat University has gone through a turbulent 70-year history. In the past, its students have been at the forefront of political consciousness. In 1940, thousands of Thammasat students rallied to support the government of Field Marshall Pibun Songkram in the declaration of war on France over the disputed Cambodian provinces of Siem Reap and Battambong. However in the 1970s the winds of political change had shifted. It was on this quadrangle that the students massed for the popular uprising against the military regime of Field Marshall Thanom Kittikachorn. The first time was in October 1973 when thousands gathered to launch the protest at the Democracy Monument in the biggest demonstration in Thai history. Many lost their lives in the confrontation. After the 14 October 1973 uprising that resulted in Field Marshall Thanom leaving office and the country, it was the Rector of Thammasat University, Dr Sanya Thammasak who was appointed Prime Minister. 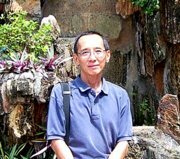 A former judge and President of the Supreme Court, Dr Sanya was highly respected and handpicked to restore confidence. Again in October 1976, the students rallied. This time thousands massed in the campus to protest the return to Thailand of the ousted Field Marshall Thanom. 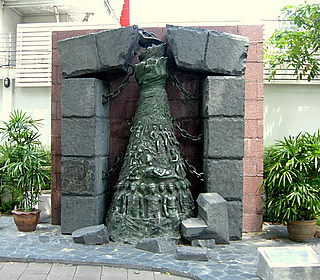 The trauma of the bloodshed on 6 October 1976 is seared in the memories of those who survived. Though Thammasat University has started a new campus in Rangsit outside the city, the old campus at Sanam Luang retains that strong emotional appeal to the alumni. It was here that history was written, in blood. Such is the attachment to an institution that has been the political and social conscience of the nation.